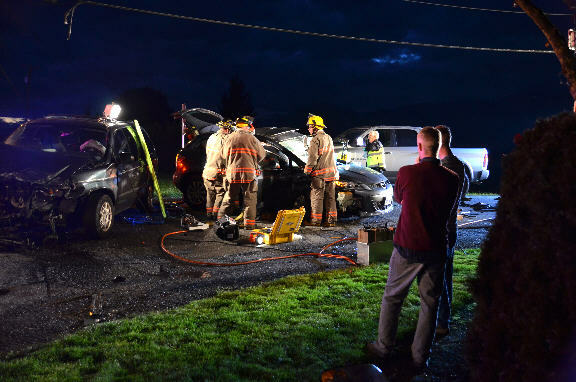 Chilliwack first responders worked feverishly to get the driver of this Mazda free of the vehicle Saturday. 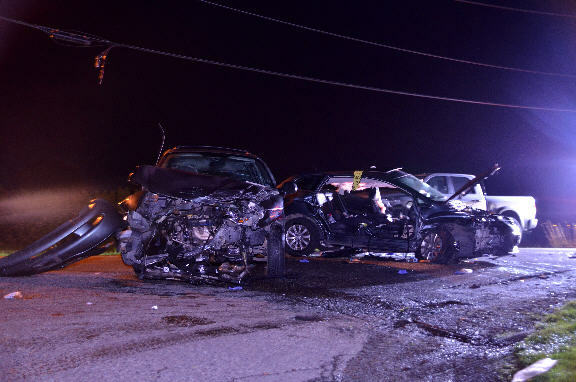 female driver was seriously injured after allegedly running the 4-way stop at Prairie Central and Prest Rd. and slamming into a mini van that was turning left. 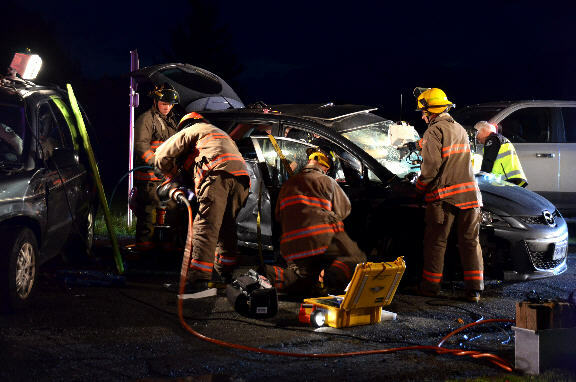 A pickup truck was also involved and had a small amount of damage in the devastating accident which took place just before 6 PM Saturday evening. 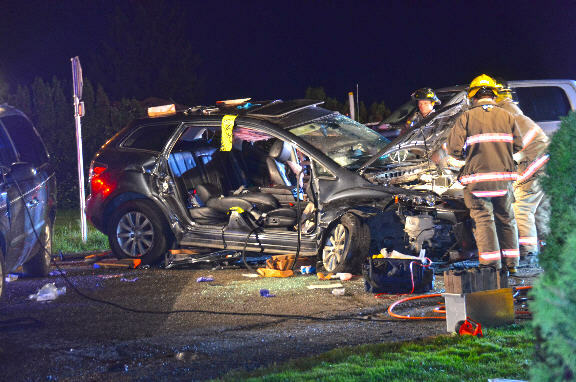 The driver of the Mazda 3 was trapped and fire fighters had to remove both doors in order to extricate her. The driver of the van received only minor injuries. 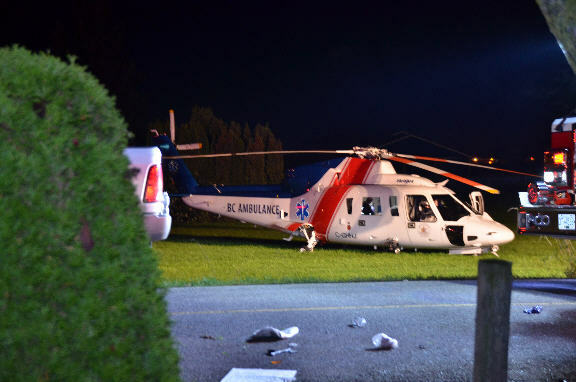 BCAS brought in the medevac chopper which landed in a nearby field and the driver was airlifted to Royal Columbian Hospital in New Westminster. The City of Chilliwack fire department was on the scene with lighting until 11:30 PM while police investigated.